On December 19, a truck rammed into a crowd at a Christmas market in Berlin, killing at least 12. The driver of the vehicle was detained. 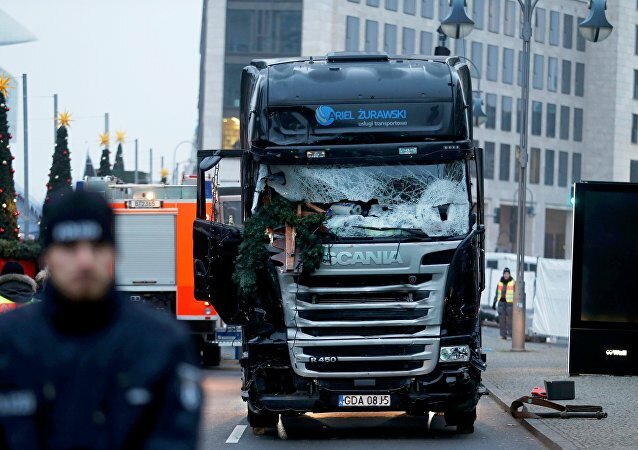 The German police have said the truck ramming incident was intentional. The attack resembled a similar incident in the French city of Nice in July 2016. German police have arrested a number of people linked to a Tunisian migrant who was denied asylum and arranged the terrorist attack in Berlin, Bild newspaper reported on Thursday. The German government decided Wednesday to extend by another year its military training mission to northern Iraq after a bloody Islamist attack on a Christmas market in Berlin. The perpetrator of the deadly truck attack on the Christmas market in Berlin may have acquired the gun he used to hijack a vehicle in Switzerland, German media reported. German security and intelligence services knew about the potential danger posed by Anis Amri prior to his December truck attack in Berlin, but failed to identify the threat even after conducting seven meetings on the would-be terrorist. The man who drove a truck into a Berlin Christmas market was part of an Islamist cell that supplied its members with cash and fake IDs, a police source told German media on Thursday. Anis Amri, a Tunisian national, suspected in a terrorist attack on Christmas market in Berlin, went through Belgium's capital en route to Italy, media reported Wednesday. 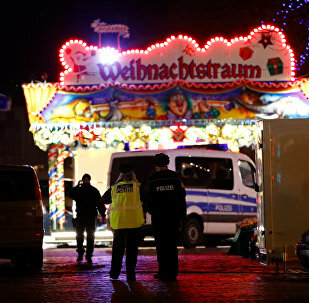 In April, the district attorney's office of the city of Duisburg in North Rhine-Westphalia opened a preliminary investigation into the possibility that Tunisian national Anis Amri, the suspect in the Berlin truck attack on Christmas market, had been fraudulently receiving social benefits in 2015, according to local media. Spain's Civil Guard is checking links to the Berlin attack suspect Anis Amri, country's Interior Minister Juan Ignacio Zoido said Saturday. The terrorist threat remains high in France in the wake of a deadly truck attack at a Berlin Christmas market, therefore security measures in public places need to be tightened, French national police chief Jean-Marc Falcone said. The deadly truck attack at a Berlin Christmas market must not close the path to Europe for migrants, European Commission President Jean-Claude Juncker stressed. 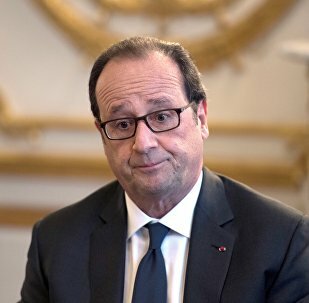 The French authorities are investigating how the suspect in the Christmas market attack, who was killed on Friday, was able to travel through France and reach Italy days after ramming a truck into the Berlin crowd, French media report. The German government will pay compensation in the amount of 10,000 euros (over $10,400) to the family of a Ukrainian national who was killed in the Berlin truck attack, Ukrainian Ambassador to Germany Andrij Melnyk said. The political conclusions from the Berlin attack will be made only after the completion of the investigation, German Federal Minister of Justice and Consumer Protection Heiko Maas said Friday. The terrorist threat in Germany remains high even after Anis Amri, suspected of having staged the Berlin truck ramming attack, was killed, German Interior Minister Thomas de Maiziere told reporters on Friday. German Chancellor Angela Merkel confirmed Friday that Berlin attack suspect Anis Amri had been shot dead in Milan and said everything pointed to his primal role in the deadly truck ramming. She said the death of Amri did not end the inquiry as criminal investigators continued to search for possible accomplices. German Chancellor Angela Merkel will make a statement later in the day on the case of the suspect of the terrorist attack in Berlin, Anis Amri, a press service of the German government said. The German Prosecutor General's Office continues to hunt for possible accomplices of the perpetrator of the Berlin truck attack and carries out an investigation in cooperation with Italian authorities, a spokesperson of the Public Prosecutor General said on Friday. Danish police verify reports on the fact that a man suspected in the terrorist attack on a Christmas market in Berlin has been seen in the country’s northern city of Aalborg, local media reported Friday. Moroccan security services have warned Germany about a potential threat posed by Tunisian national Anis Amri, the main suspect in the Christmas market truck attack before the deadly incident in the German capital, media reported Friday. Italian Interior minister has confirmed that Berlin Attack suspect Anis Amri was shot dead in a gunfight in Milan.